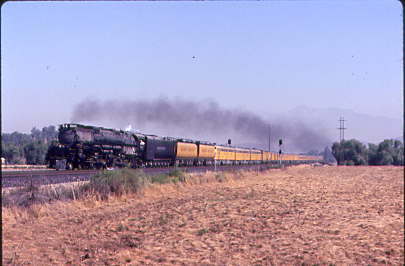 Union Pacific 3985 through the years! 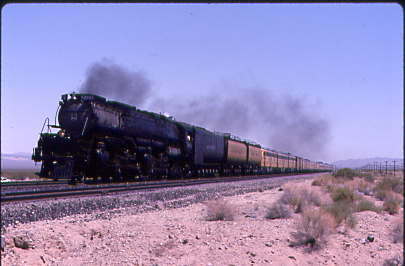 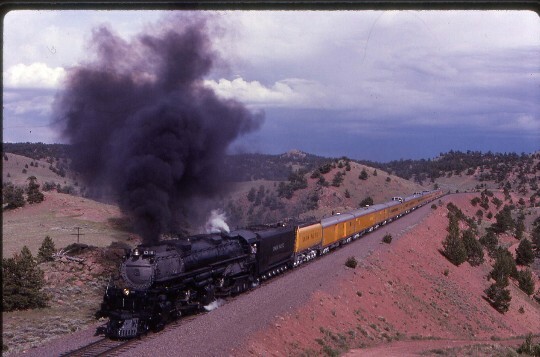 by Chris Guenzler This story will tell of my encounters with Union Pacific 4-6-6-4 3985 in my life. 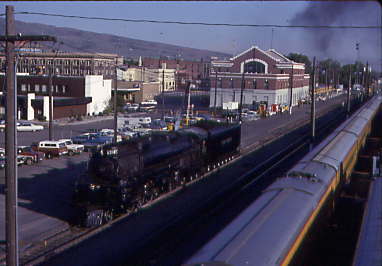 In 1982, the City of Pocatello, Idaho was turning 100 years old and the Union Pacific wanted to be involved in the celebration so it was decided to send the Challenger there. 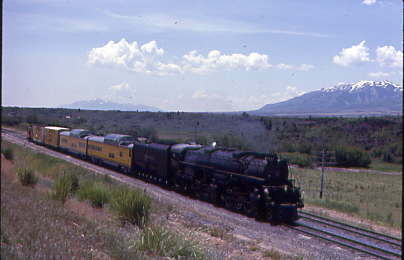 We drove to Salt Lake City and caught Union Pacific 3985 coming out of the UP's North Yard heading towards the Union Pacific Station our excursion to Provo would leave from. 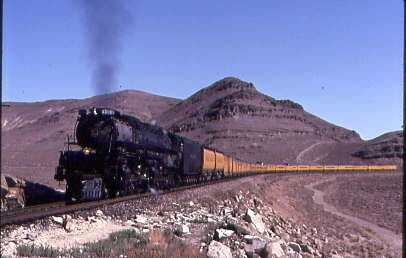 Later aboard the train with Union Pacific 3985 setting track side fires as it went along on its way to Provo we stopped at Point of the Mountain to do a photo runby. 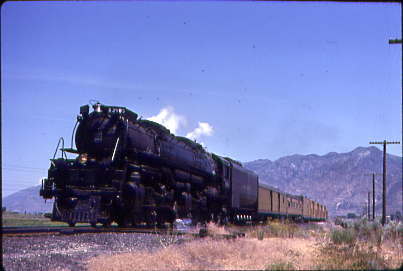 I got off and went to the sunny side for this shot before the train backed. 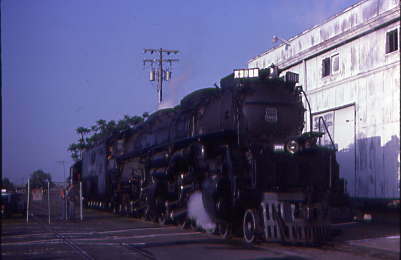 We were all herded to the shady side for the Photo Runby. 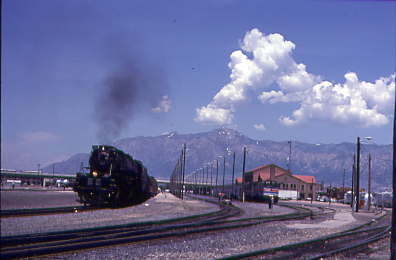 We then ran to Provo, wyed the train and on the way back stopped on the south flank of Point of the Mountain for another Photo Runby. 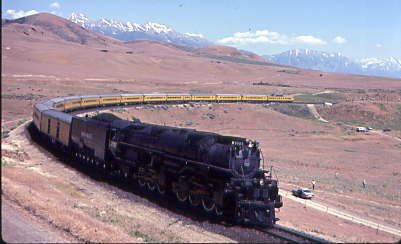 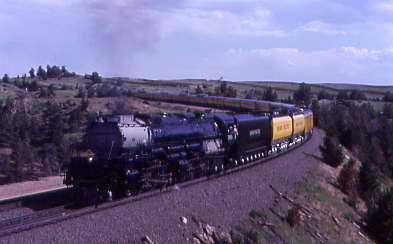 The final shot of the trip was Union Pacific 3985 was at Grant Tower where it went to wye. 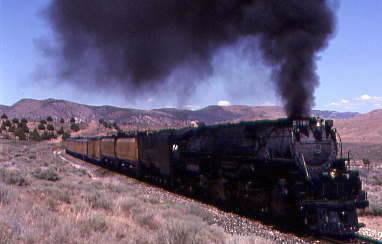 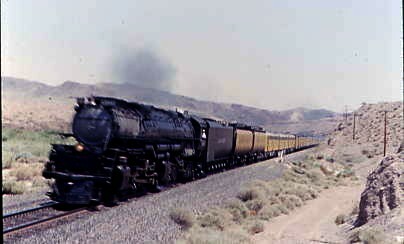 The Union Pacific after these trips later converted the Union Pacific 3985 from being a coal burner to an oil burner and with that, the engine could ran almost anywhere on the system and would not be setting track side fires anymore. 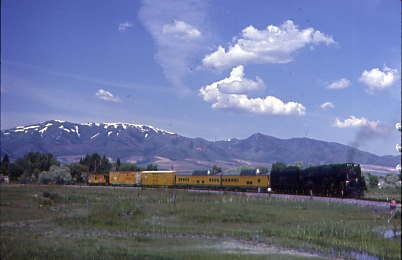 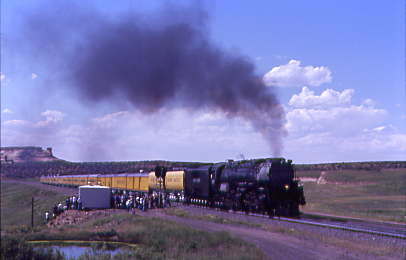 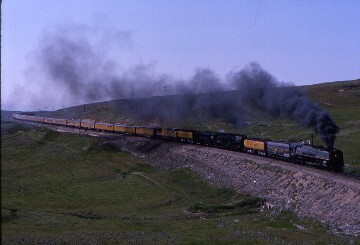 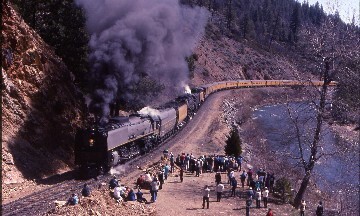 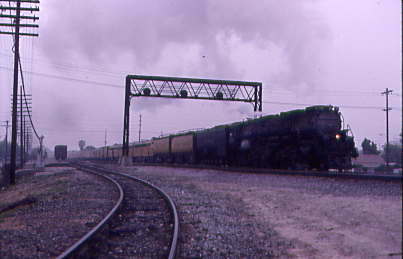 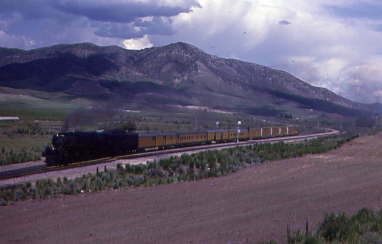 In 1991 the Union Pacific 8444 and Union Pacific 3985 where invited to Railfair 1991. 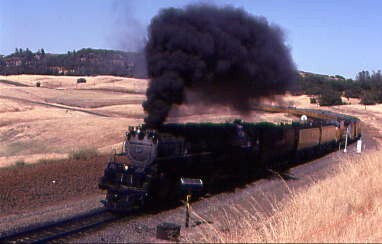 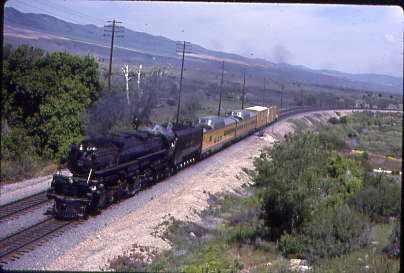 I was lucky enough to get a ticket for the ride from Portola to Sacramento down the Feather River Canyon. 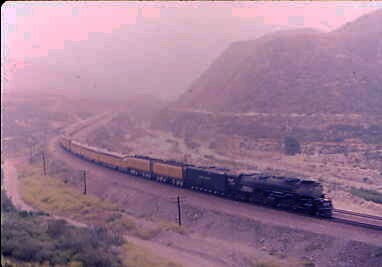 Later that same day just short of Kramm siding another Photo Runby was performed this time with the Union Pacific 3985 being clearly seen. 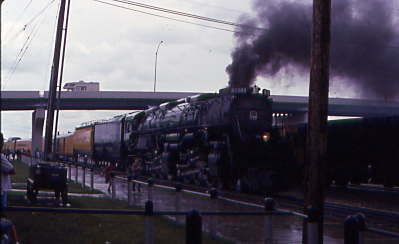 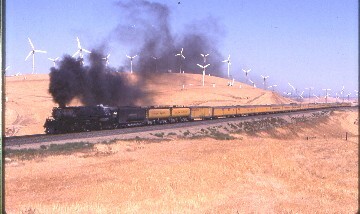 The Union Pacific 3985 was part of the pageant at Railfair 1991 in Sacramento on May 11th, 1991. 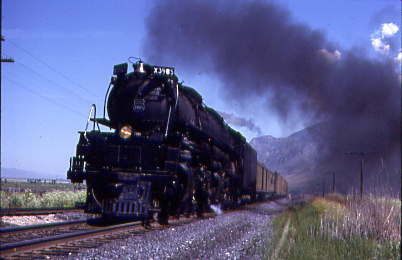 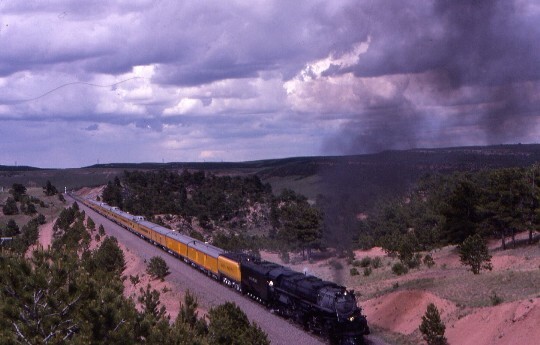 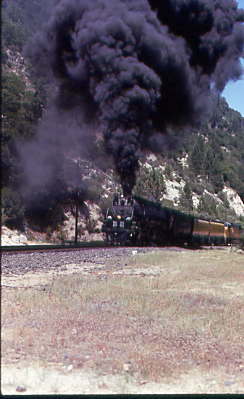 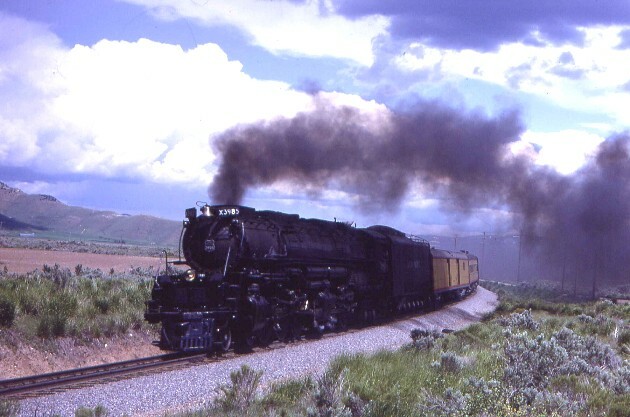 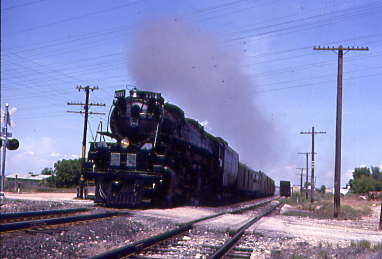 My first steam trip over Sherman Hill happened at the UPHRS Convention in Cheyenne, Wyoming and our trip left for Laramie in the early afternoon with a night time ride east over Sherman Hill. 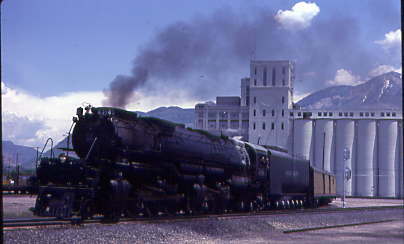 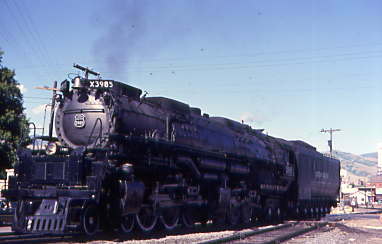 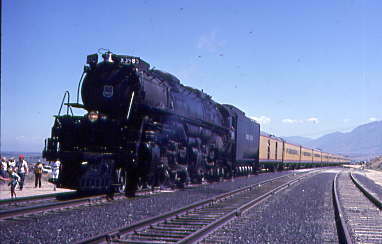 Here is the Union Pacific 3985 at the Cheyenne Station. 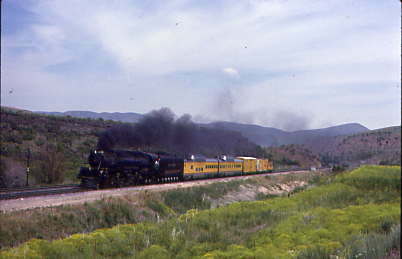 The Photo Runbys on the westbound trip across Sherman Hill. 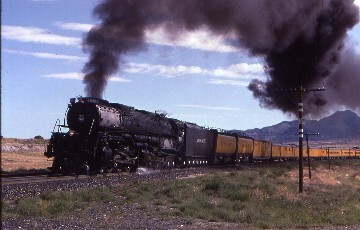 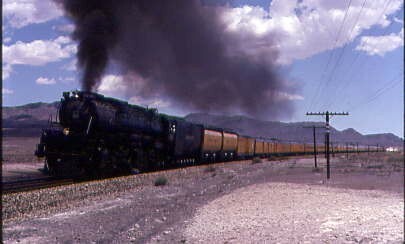 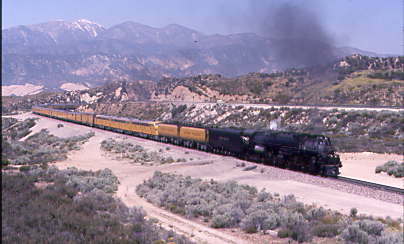 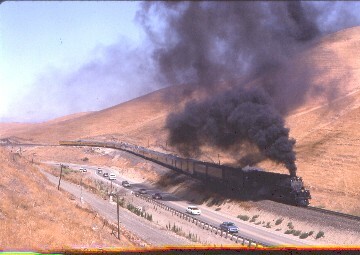 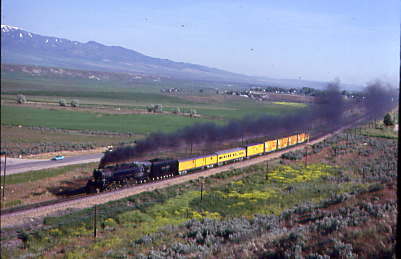 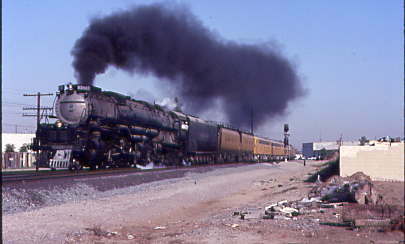 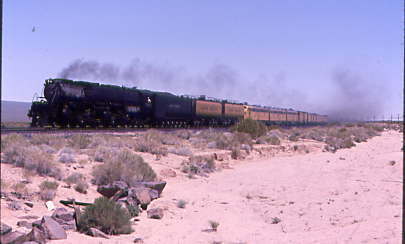 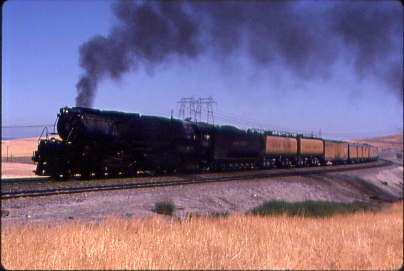 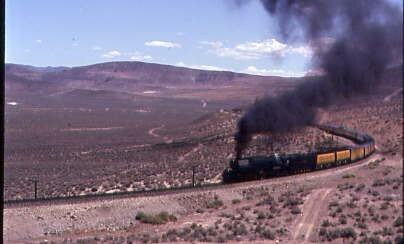 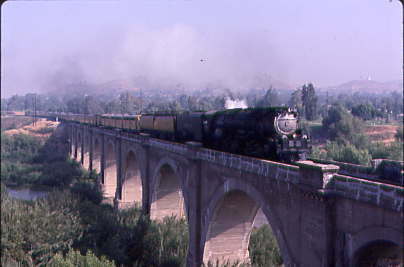 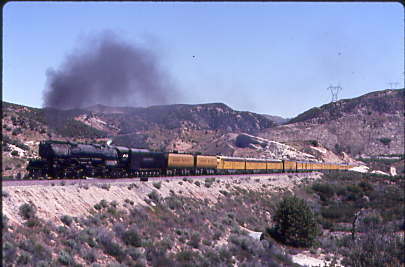 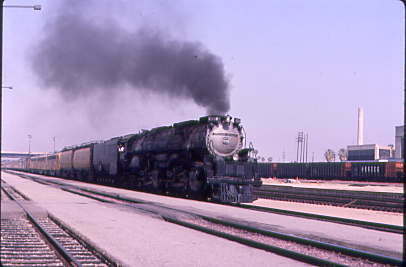 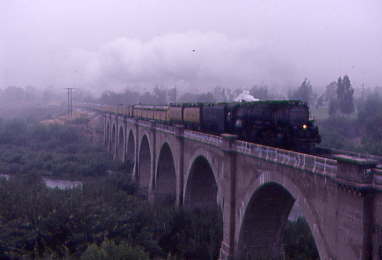 The Union Pacific 3985 passed through Colton on May 23, 1994. 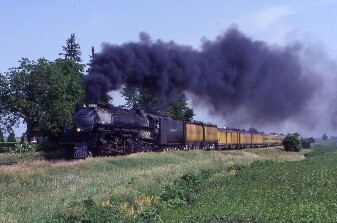 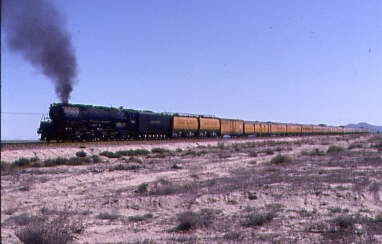 The Union Pacific 3985 ran from St Louis to Gorham on June 19, 2001. 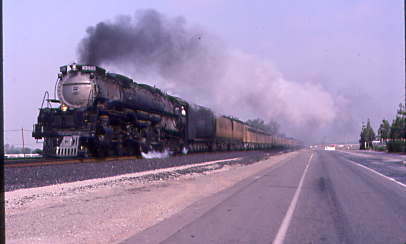 Here is the Photo Runby just north of Chester. 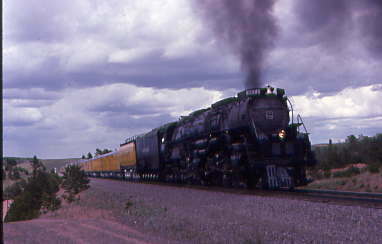 My next encounter with Union Pacific 3985 was by chance. 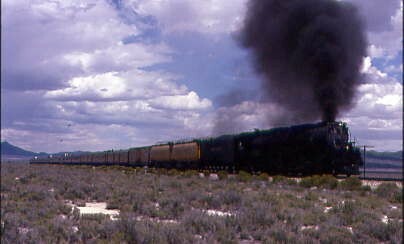 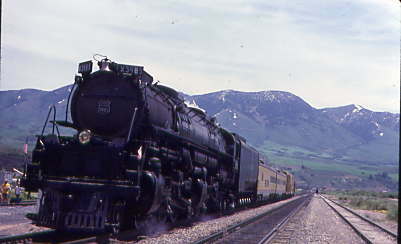 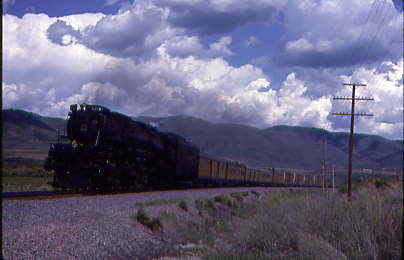 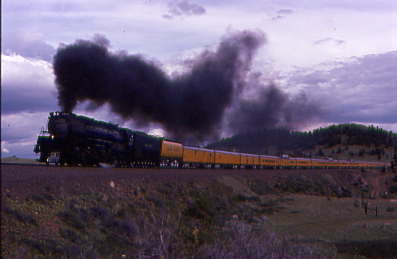 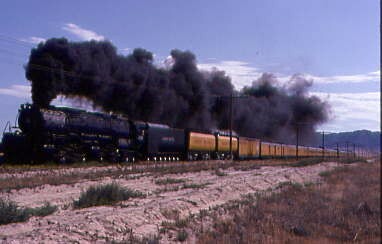 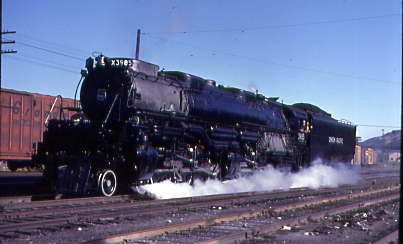 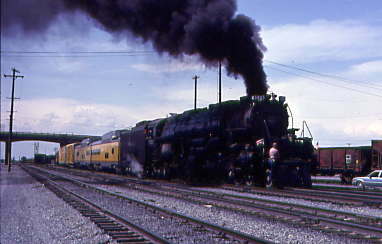 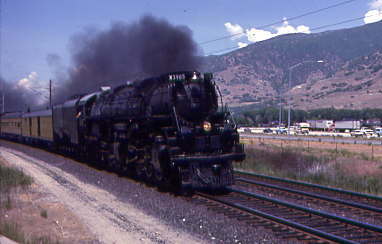 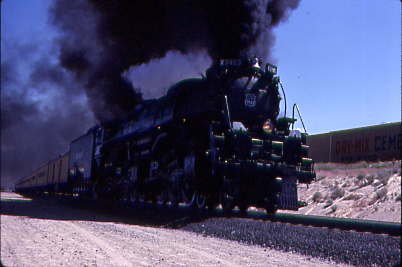 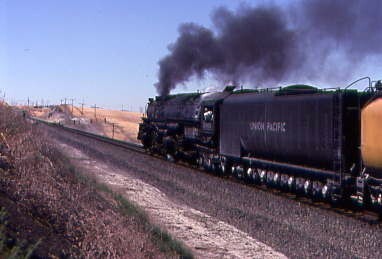 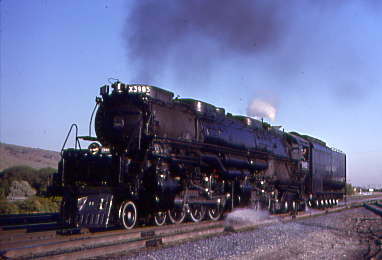 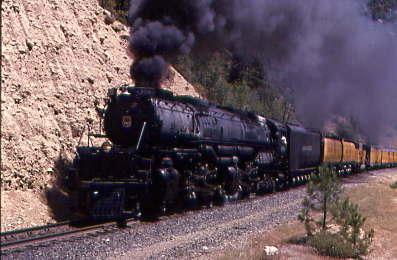 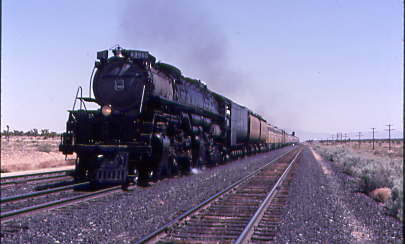 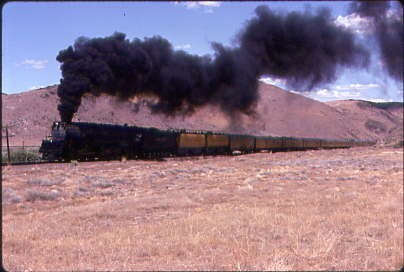 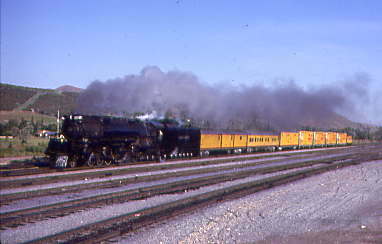 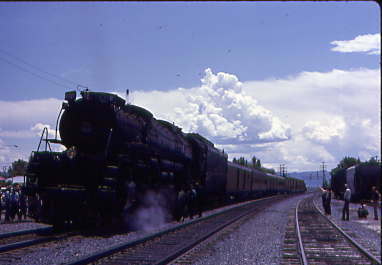 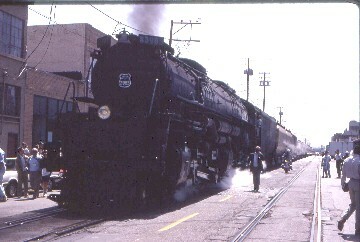 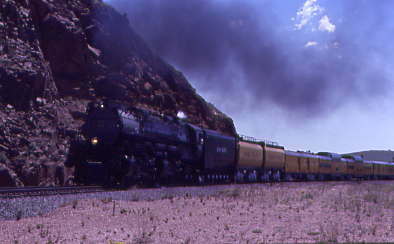 I came in Denver with Carl Morrison to do the Wyoming Detour and when we got off the CZ the Union Pacific 3985 was steaming in the station. 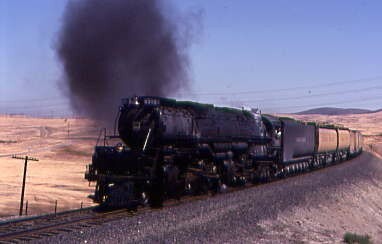 I knew at 7:30 AM the next morning the engine was leaving for Cheyenne. 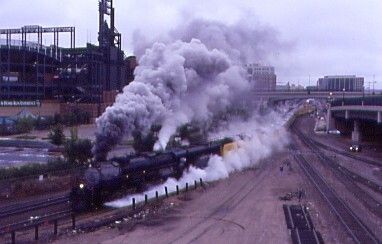 Carl and I got there and watched the big show of Union Pacific 3985 departing Denver Union Station. 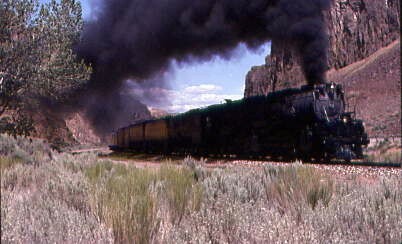 7/24/2004. 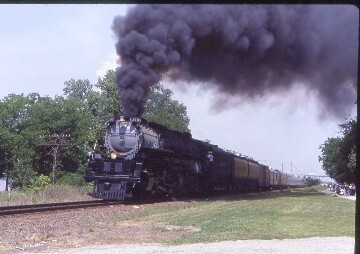 The Union Pacific 3985 ran through Lamine, MO on 10/4/2010. 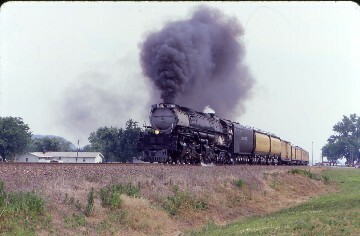 The Union Pacific 3985 ran through Booneville, MO on October 4, 2010. 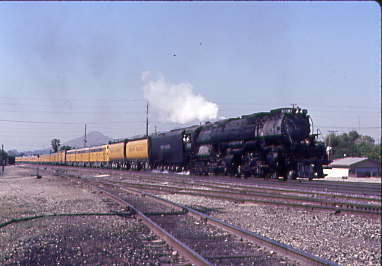 This ends my coverage of the Union Pacific 3985 until my next encounter with this great engine.